no brainer choice for an inexpensive 3-4 day kosher vacation from the NYC area. For as prominent as DC is as a city in the US, it does have some limitations when it comes to Kosher restaurants, but that isn’t to say that DC is without kosher options. The JCC in DC has housed a number of kosher eateries over the years, most recently a high end pizza cafe: Silvercrust, which both opened and closed last year, and has not been replaced. The only full service kosher restaurant in DC is Char Bar, formerly Eli’s, but in a new location in Foggy Bottom not far from Georgetown & Dupont Circle. Char Bar is a serviceable, albeit a bit overpriced, nice burger restaurant with other options including salads, pulled BBQ brisket, deli, steak, and more. Click for Char Bar’s menu. Don’t expect a meal that will blow you away by any means, but you will leave full and satiated as the portions are plentiful. I suppose not having much competition will do that. Char Bar delivers around DC via Doordash. 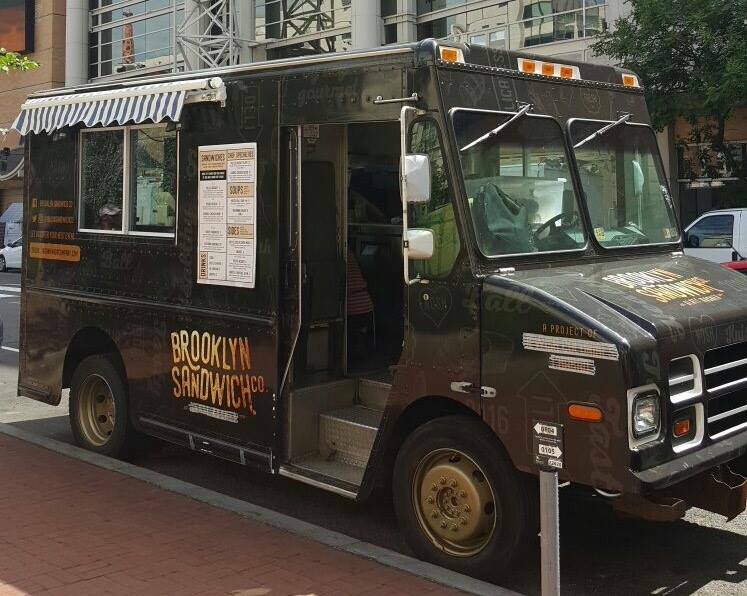 A new kosher option recently launched over the summer servicing the kosher community in DC: a kosher food truck. Launched by students at GWU, Brooklyn Sandwich Co., serves a limited menu of high end fleishig sandwiches, sides, and soups including pulled brisket, Reuben sandwich, matzo ball soup, knishes, potato wedges, cauliflower mash, and more. Click for Brooklyn Sandwich Co.’s menu. We enjoyed the pulled brisket and pastrami in the Reuben sandwich. Overall, it provides a solid and quick kosher option in an area with few options. Does it compare to some of the high quality options we have in NYC (or Brooklyn for that matter)? Probably not, but DC needs Brooklyn Sandwich Co. and you should definitely support them when in town. The kosher truck changes location on a daily basis. They post their location regularly on Twitter and their Find Us page. Brooklyn Sandwich Co. is under the Rabbinical Supervision of Rabbi Hillel Baron of Congregation Ahavas Israel, Columbia, MD. A third kosher DC option is quite unique, and something I wish we had in the NYC area: Soupergirl. 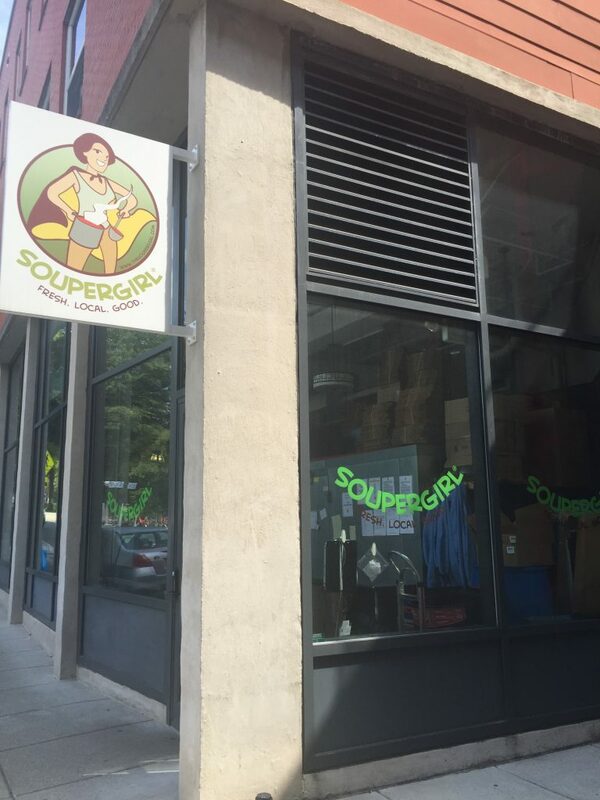 A chain of 2 fully pareve and vegan soup cafés, Soupergirl brings delicious and healthy options to DC’s kosher observant population. The main location is located in Takoma Park, near Silver Spring, which is where we went since the downtown location is closed on Sundays. The downtown location is on M Street near Dupont Circle. While the star of the show here is the soup, which you can try before you buy, other options that accompany the soup are sandwiches, delicious rolls/baguettes to dip in the soup, and pre-prepared salads in the fridge. A full list of soups and menu items are listed here. We tried both the hot and cold soups and had trouble deciding which to order. Ultimately we settled on the Traditional Indian Mulligatawny and the Watermelon gazpacho. It was surprisingly filling with the bread. We took the salads to go for later. Soupergirl’s packaged products are under the supervision of the Star­-K and their store locations are under the kosher supervision of both the Rabbinical Council of Greater Washington (Capitol­-K) and the Beltway Vaad. Soupergirl locations and markets that carry their products are listed here. The Holocaust Museum Cafe is not kosher, but it does stock prepared kosher sandwiches and salads for guests. Kashrut: Rabbinical Council of Greater Washington. In terms of neighborhoods to visit or stay in, I highly recommend Georgetown. We spent Shabbat there, and attended Kesher Israel for Shabbat services (and was put up for meals by the local Jewish community). Georgetown has many hotels within walking distance of the shul, but we ended up at Georgetown Suites, a non-chain hotel that was recommended by the shul and that allowed us to have 2 rooms and a small kitchen. The hotel is convenient in many ways, but it is dated and you can’t really use or accrue hotel points there outside of using a credit card portal to book it (which I did using Chase Ultimate Rewards – more on that another time). Georgetown is a beautiful neighborhood to walk around and it also has a great promenade along the banks of the Potomac River. 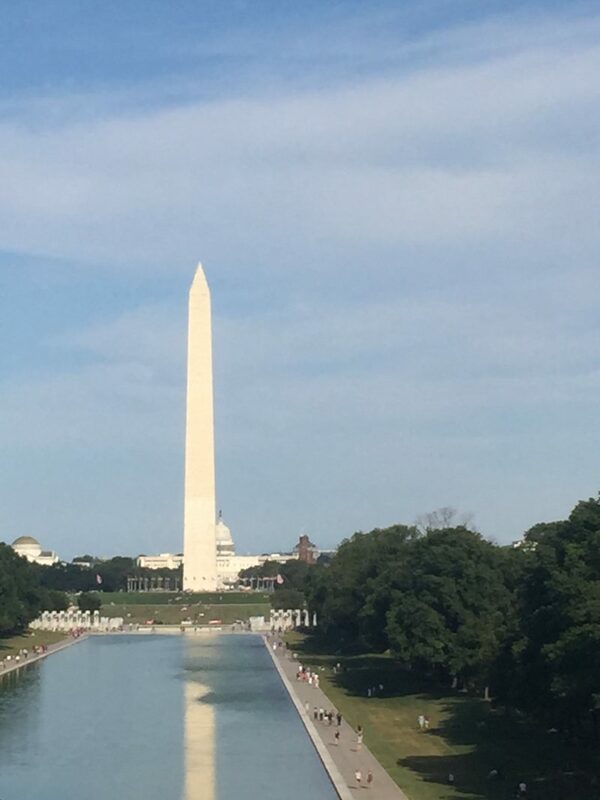 Other places to consider spending Shabbat in DC proper include Dupont Circle and Adams Morgan. Just outside of the city there is a large frum community in the Silver Spring, MD area where you’ll have many options for shul, but fewer hotel options.